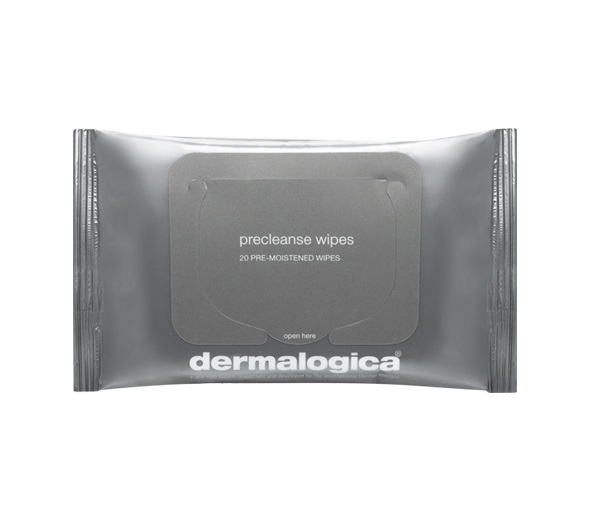 Achieve ultra clean and healthy skin on the go with the Double Cleanse regimen that begins with PreCleanse. Each biodegradable wipe melts away layers of excess sebum (oil), sunscreen, waterproof make-up, environmental pollutants and residual products that build up on skin throughout the day. - Contains conditioning Rice Bran and Vitamin E oils. - This gentle blend can be used around the eye area to even remove waterproof mascara. - Offers a deep cleansing ideal for even the most oily skin conditions. - Removes oils without clogging pores. - Conditioning essential fatty acids nourish skin. - Enables your prescribed Dermalogica Cleanser to work more efficiently. - Lift tab to open. - Wipe over face and eyes to dissolve surface oil and dirt. - Concentrate on areas of congestion or stubborn debris. - If desired, wet wipe and continue massaging to create a light, milky emulsion. - Rinse with lukewarm water. - Please dispose of wipes properly - Do not flush.